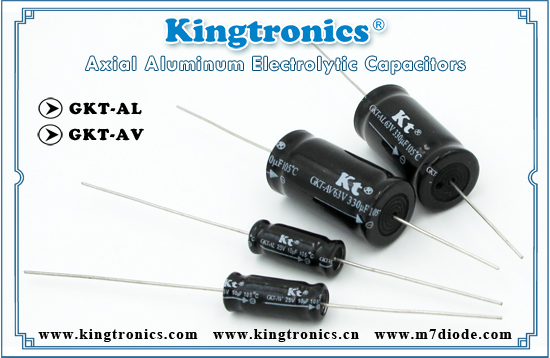 Metal Oxide Varistor (MOV) is the most commonly used type of varistor. It is called so as the component is made from a mixture of zinc oxide and other metal oxides like cobalt, manganese and so on. When electrical current rises to a certain point, called the breakover point or breakover voltage, the tiny zinc oxide particles begin conducting the current among themselves only. This prevents the high-voltage current from passing into the rest of the surge protector or the devices plugged into it. 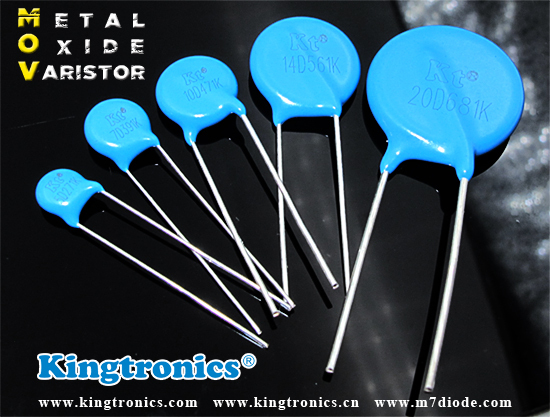 Kingtronics traditional radial through-hole metal oxide varistor devices are available in diameters of 5mm(XKT5D), 7mm(XKT7D), 10mm(XKT10D), 14mm(XKT14D)and 20mm(XKT20D).And it offers a choice of wide operating voltage from 18V to 1800V, operating temperature range -40℃~+105℃ and full compliance with RoSH and REACH. The devices have high current handling, high energy absorption capability and fast response times to protect against transient faults up to rated limits. They are fit for providing voltage surge protection for a wide variety of applications, including the consumer electronics, industrial electronics ,communication electronics, measuring and controlling systems electronic home appliances. We are always looking for better solutions for our customers to face the severe market environment and fierce market. When you order Crystal Oscillator, you have to at least keep 5 essential aspects. Free samples are available and welcome your enquiry and test our samples. 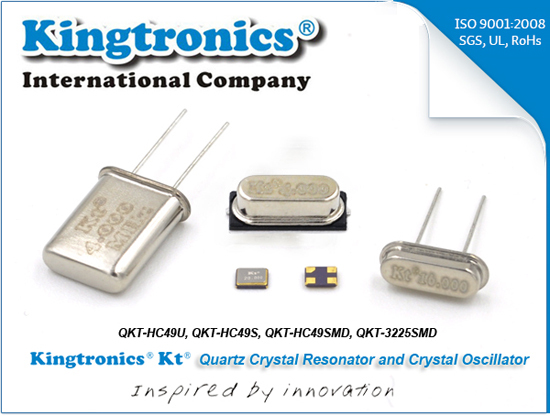 When you order Quartz Crystal Resonator, you have to at least keep 5 essential aspects.